Yesterday tourist information about the French Way in Castilla y Leon in the first half of 2016 was presented in the city of Frómista (Palencia), data that bring good news for the autonomous region. 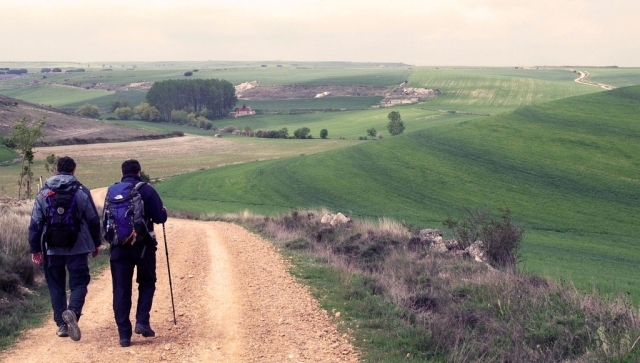 During the first half of this year, a 11.87% more pilgrims have stayed in hostels in Burgos, Palencia and Leon over the same period of 2015, according to the general manager of Tourism for the Government of Castilla y Leon, Javier Ramirez. The director of Tourism has also incise in the importance of the Camino de Santiago in the tourist internationalization of the autonomous region, since the vast majority of overnight stays corresponds to foreign pilgrims (one 78.25% compared to 21.75% of Spanish ), which according to Javier Ramirez is "the best card in international markets." Of the three provinces through which passes the French Way, is Palencia the most satisfied may be, as it has seen this year have risen overnight stays up to 25.48% over the same period last year, reaching 49,086. Growth in the province of Burgos is also remarkable, with an 15.67% increase compared to 2015 (a total of 66,444 overnight stays) and left behind Leon, which in turn grew by 5.45% (123,007 overnight stays) .